Now it’s time to tackle the food! 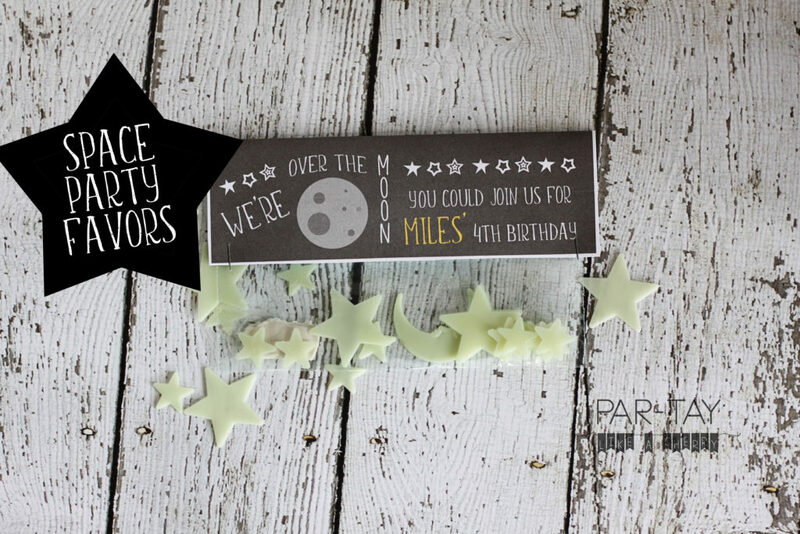 Easy & fun free printable space party favor for any space-themed party! 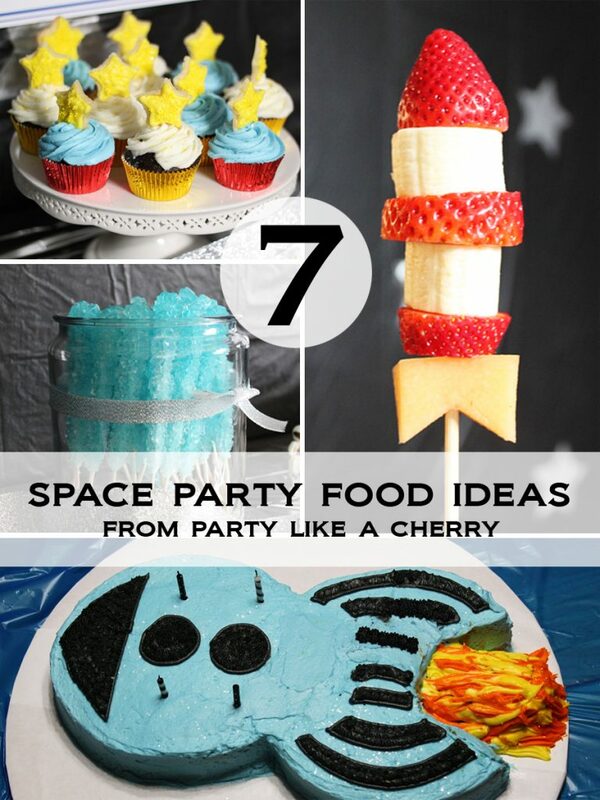 This was for my son’s 4th birthday but my 6 and 8 year old were both a little bummed there were not left overs, so I think you are safe using these for almost any age! Pick up some glow in the dark stars, these are the ones I got. Download free printable at bottom of post, cut out, fold and staple on each bag.